CPNA Beauty: Gelish and Morgan Taylor Lacquer Matador 2017, PolyGel, and a New App! Greetings, dear readers! I hope this post finds you well, and you are having a wonderful week thus far! 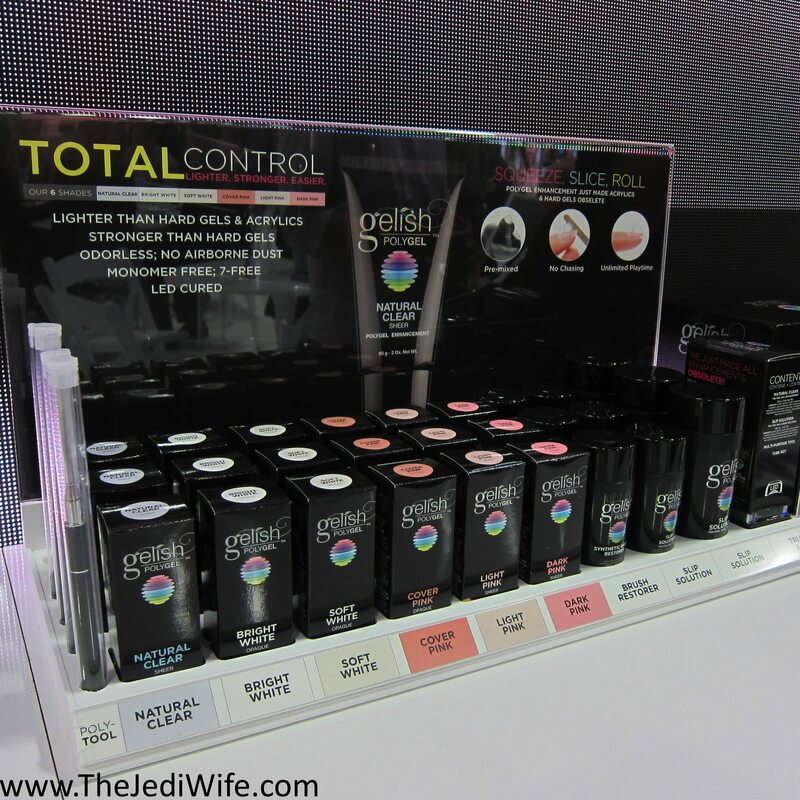 For today's blog post, I wanted to share a closer look at my time at the Morgan Taylor Lacquer/Gelish booth while attending Cosmoprof North America. Let's check it out! Step aside acrylics and hard gels! Gelish has recently released their new PolyGel line, and this fantastic product is sure to become the new go-to product in salons! PolyGel is a new nail enhancement that can be applied as an overlay or used to sculpt a full set of nails with no monomer and no airborne dust. It is reported to be 23% lighter than acrylics and 16% lighter than traditional hard gels, yielding strong and flexible nails that still feel natural. Nail techs and service consumers alike can also appreciate the unlimited play time this product yields as it does not set until it is cured! I've you've ever had the unfortunate experience of having poorly shaped nails due to limited time before setting, and believe me, I certainly have when I wore acrylics long ago, you will certainly appreciate this feature! Whether you are new to the industry or an experienced professional, this is bound to quickly become a favorite product! Now how about a look at the new Fall 2017 collection for Morgan Taylor Lacquer and Gelish! Vámonos donde España! 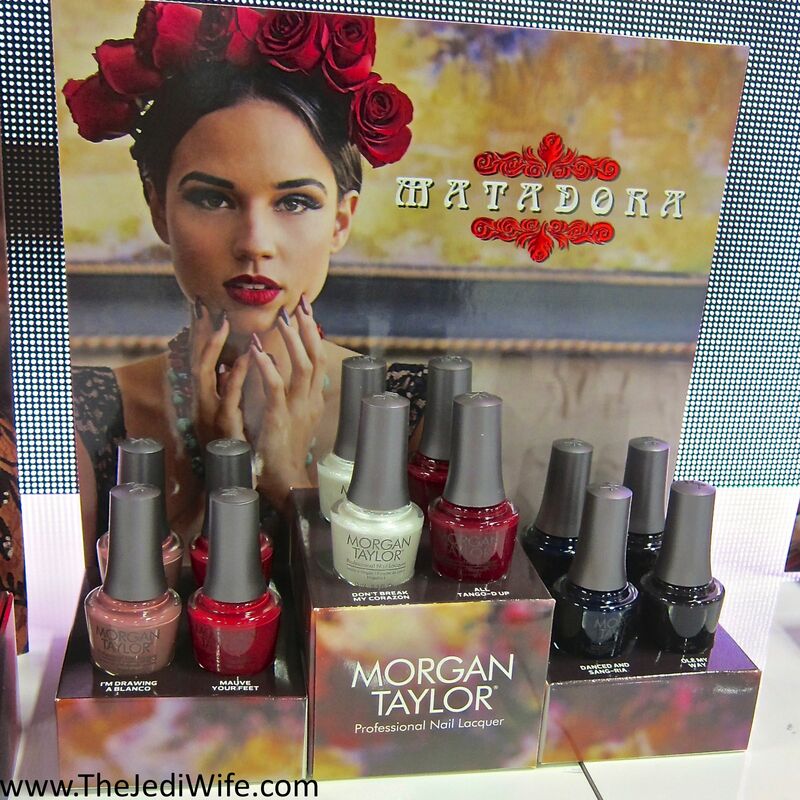 That's right, Morgan Taylor and Gelish are taking us on a journey to Spain this season! With a country filled with vibrant culture and beautiful scenery, how could you not want to take the bull by the horns and set your nails a-tangoing with the rich colors! 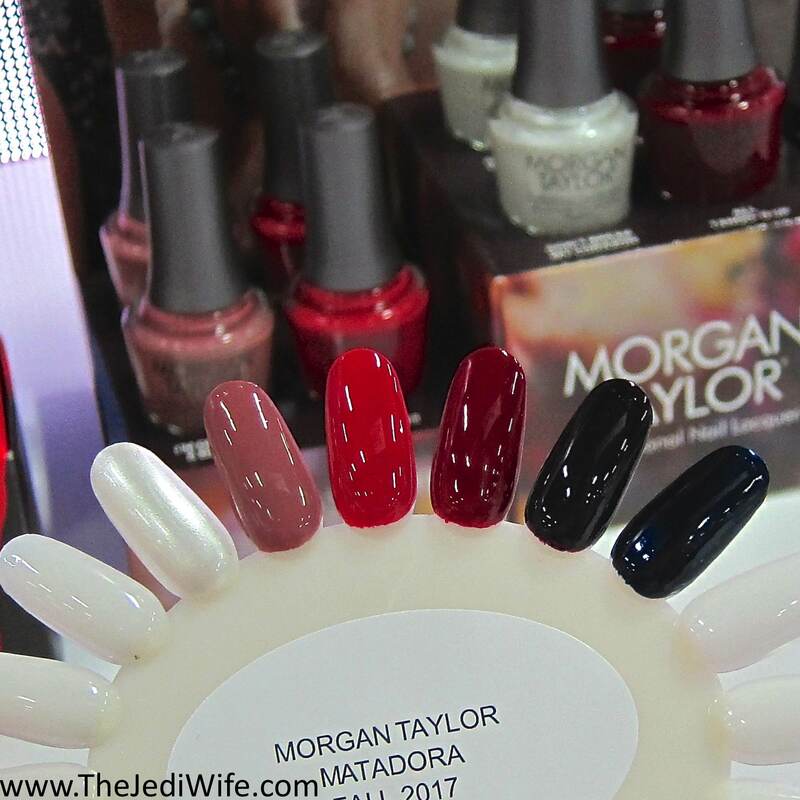 While this and the following photos are showcasing Morgan Taylor, the Matadora Collection will include the same vibrant hues in the Gelish Soak-Off line as well. I love the darker shades of fall collections, so you know I am loving the shades of the Matadora Collection! The Matadora 2017 Collection is now available for a limited time at select distributors. For more information, please visit www.Gelish.com or www.MorganTaylorLacquer.com. Before you head off, let me add one final addition to this post! Morgan Taylor has launched a new App on Android and iOS mobile phones. It features a virtual salon experience where you can select the skin tone, nail shape and length closest to your own and proceed to "try on" the 100+ core shades plus the additional seasonal collections. The app also allows you to snap a photo of anything that suits your fancy, and it will generate a range of Morgan Taylor shades that matches your photo. Talk about making nail art easy! Trying to select the best shades is often a substantial part of the creative process for me, and I love that the new app makes it faster for me to get to the actual artwork on my nails! Have you played around with the new Morgan Taylor app on your mobile device? What do you think of the Matadora Collection for this fall? I'd love to hear from you! Those are gorgeous shades. Perfect for fall. Love the dark blue especially from Morgan Taylor. I really like all of these colors! They're so fall appropriate. Are all going on my list - such gorgeous colors and I love cremes! I'm loving that mauve and the app sounds great! That Matadora collection is so beautiful and classy! Definitely gives me those Spanish vibes. I need to try that app! that new collection looks gorgeous! I love the Matadora collection! It's such a nice transition from all of the summer shades. What a beautiful set! I especially love the orange red and the deep red. that gel stuff sounds pretty interesting!! I didn't hear about it when I was there. That PolyGel is really cool. I watched a video on it the other day. Not something I'd ever use, but a great concept nonetheless. The nail industry is ALWAYS moving forward. I can't wait to learn more about PolyGel!